Calligraphy, from the Greek kalli (beautiful), and graphos (writing), is artistic writing for its own sake. Part of what sets my work apart is the calligraphy. An art form in and of itself, one can see the hand of the artist; the human element that no computer can imitate. Every letter drawn and designed and conceived of by my brain; the calligraphy and artwork completely integrated. 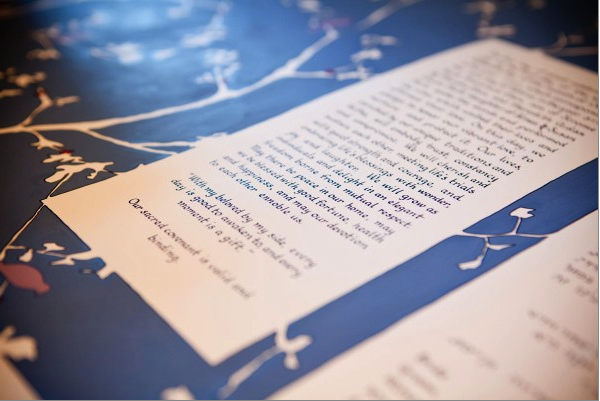 My process is a centuries old art form with every aspect of each ketubah, wedding invitation, concert program, menu or quote, rendered entirely by hand.